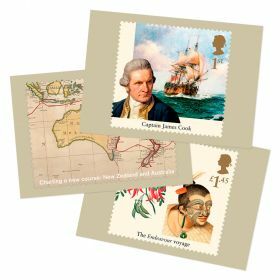 This fully illustrated pack brings to life Captain Cook's three year voyage and all of the discoveries they made. 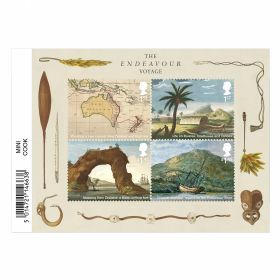 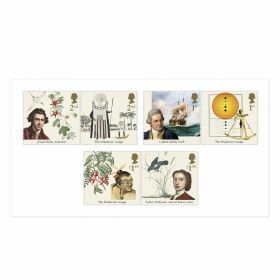 Includes all ten Special Stamps from this historic issue. 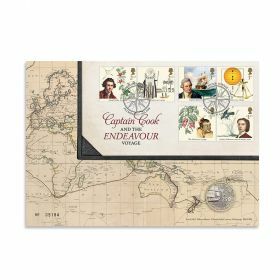 Contains the Miniature Sheet in its own designed carrier.